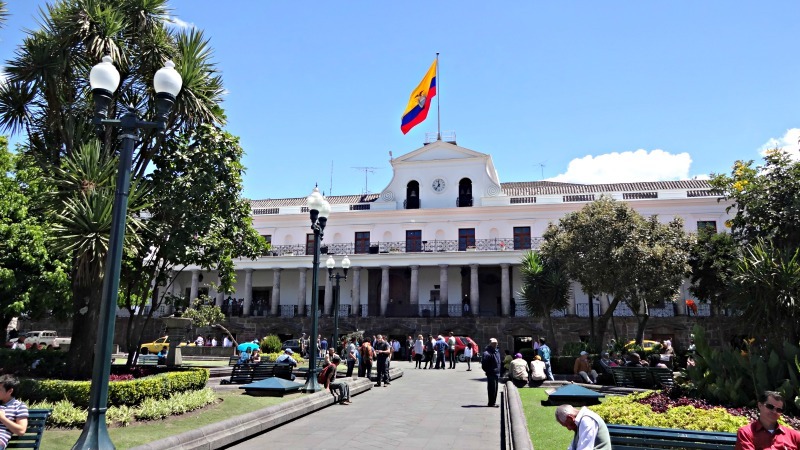 Quito's presidential palace is located in the historic center of the city right on the Plaza Grande. The building dates back to the mid-1500s when it was several private homes. 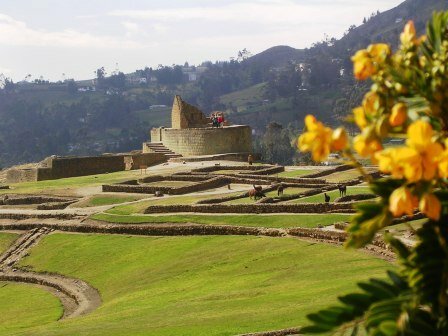 In the early 1800s, these private homes were rebuilt to form the Palacio de Carondelet. Francisco de Carondelet supervised the work and the finished product was named after him. Today, the third floor of the palace is a residential suite for the President and his family. You can take a free guided tour of several areas of the Presidential Palace. To take the tour you need to sign up in advance. You will need to have some form of ID on you, whether a passport or other form of photo identification. The tour is free and takes about an hour. If you don't have time to take the tour, you can walk across the lower balcony, see the guards and take photos by approaching the security officer at the south end of the balcony. 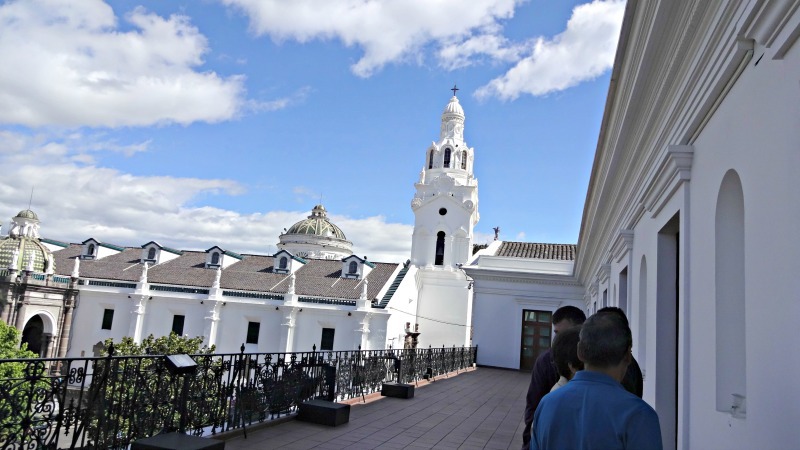 As with most colonial homes in Ecuador, the Presidential Palace is built around a central courtyard with beautiful flowers and a large fountain. This is where the tour begins....after an airport-like security check. 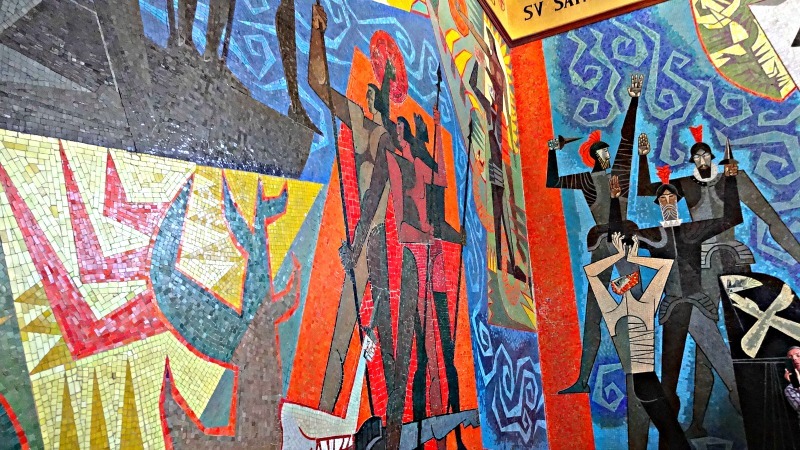 From here you can see a mural by the famous Ecuadorian painter Oswaldo Guayasamin that tells the story of the discovery of the Amazon River. From here the tour continues on the second level where some of the government offices can be seen. 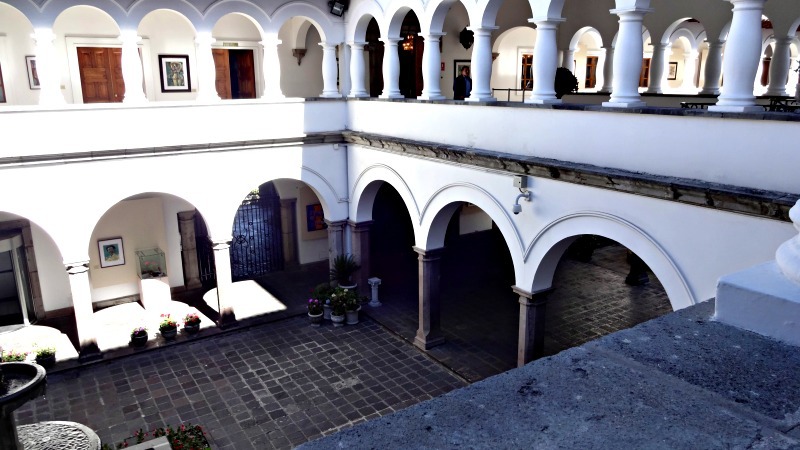 The balcony on this level offers some great views of the Plaza Grande and surrounding buildings. All of the gifts that President Rafael Correa has received during his presidency are on display in the palace. Much of the historic elements that should be found inside the building are no longer there, probably due to looting by former occupants. 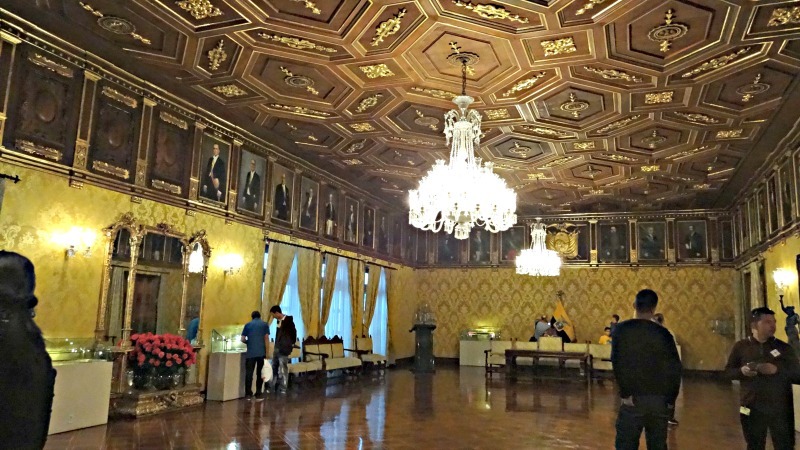 A large banquet room is part of the tour, as is a room with paintings of each president of Ecuador. 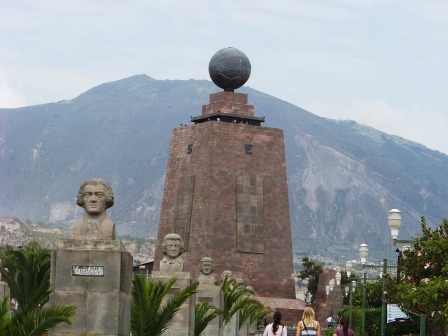 This was interesting to me, because it explained the reason for many of the street names in Ecuador....named for former presidents. President Rafael Correa is the first Ecuadorian president to open Quito's presidential palace to the public. If you're in the area, take advantage of the opportunity. You never know what the next president will do.